See Red Skelton like never before in this brand new dvd featuring The Red Skelton Hour in Color! These Vintage Unreleased Shows From America’s Clown Prince Feature Skelton, His Host of Hilarious Characters (Clem Kadiddlehopper, Freddie the Freeloader) and Guest Stars Aplenty, Including John Wayne, Mickey Rooney, Tim Conway, Milton Berle, Phyllis Diller and more. 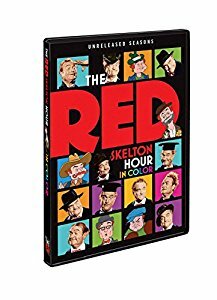 Red Skelton was a brilliant performer, a passionate patriot, and a master of simple, hilarious and classic comedy.Now, home audiences can be entertained by America’s Clown Prince any time with brilliant full-color episodes of The Red Skelton Hour, some of which have been unseen for over 50 years! After purchasing an old movie studio and converting it for TV productions, Red was the first CBS host to begin taping his weekly programs in color. 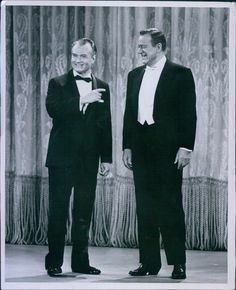 And now, on January 3, Time Life brings viewers back to a simpler time with THE RED SKELTON HOUR IN COLOR, showcasing never-before-released shows as they were originally broadcast more than 50 years ago. One of the country’s most treasured comedians, Skelton kept TV audiences in stitches for 20 groundbreaking seasons on The Red Skelton Show. The son of a circus clown, Red always had a twinkle in his eye and a spring in his step (often accompanied by a cowbell sound effect); his heart was pure gold, his jokes were silly and his gifts for physical comedy were unparalleled.And from his inimitable comic mind also came a memorable lineup of zany characters including the country bumpkin Clem Kadiddlehopper, the lovable hobo Freddie the Freeloader, Sheriff Deadeye and more. The 3-disc collector’s set features 12 never-before-released episodes, including best-loved sketches with Freddie the Freeloader joining a love-in with hippie Tim Conway; Sheriff Deadeye facing off with Rooster Cogburn (John Wayne); and Clem Kadiddlehopper being mistaken for a robot by mad scientists Boris Karloff and Vincent Price.